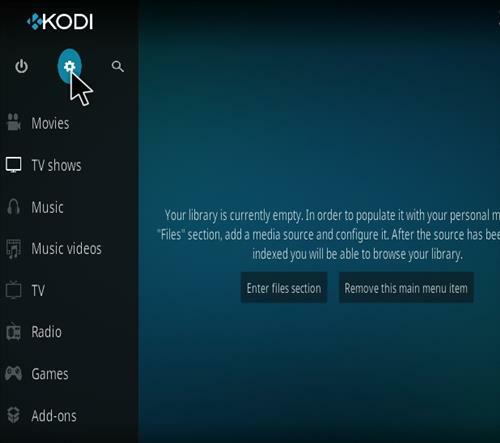 In the past Kodi was confined to a media center box such as a dedicated computer. 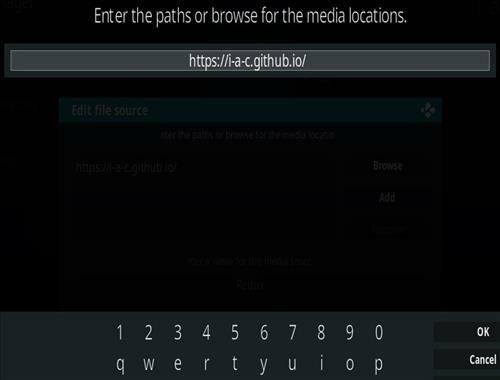 Now Kodi can be installed on an android phone or tablet, and play the same media anywhere bandwidth is available to stream content. Kodi Krypton should install on any android smartphone or tablet that has at least Android 5.0 Lollipop or higher installed. 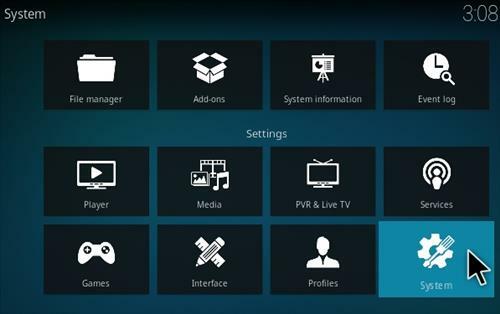 First we need to install Kodi then we need to install a program called an Add-on to stream the content. Be sure to be connected to a WiFi signal unless you have an unlimited data plan as streaming movies uses a lot of bandwidth and data. 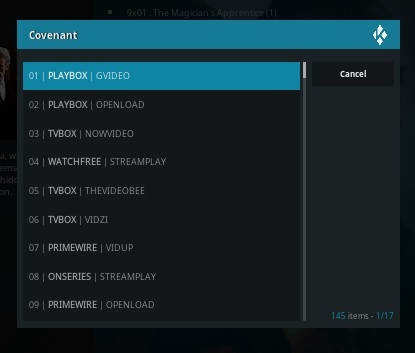 Below is written step-by-step instructions for how to do both first installing Kodi then the popular Covenant add-on. 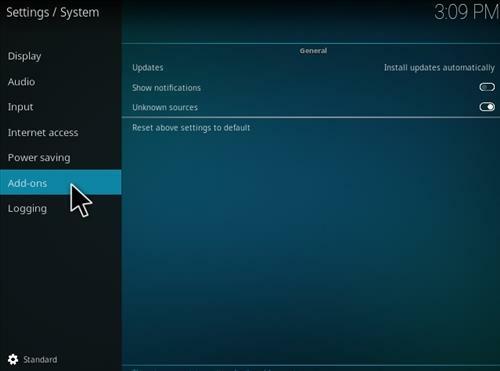 Steps For Installing Kodi To an Android. 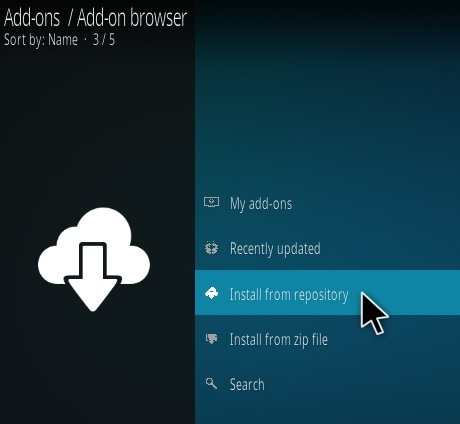 The first step is to install Kodi from the Play Store or from the Kodi site. It is much easier, and automatic, to install from the Play Store than the Kodi download page but either option will work. 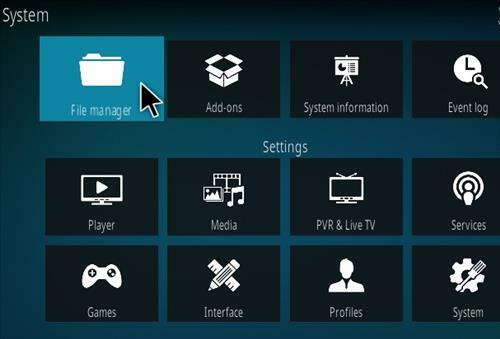 Once Kodi is installed on your android, add-ons need to be added to Kodi to stream content. 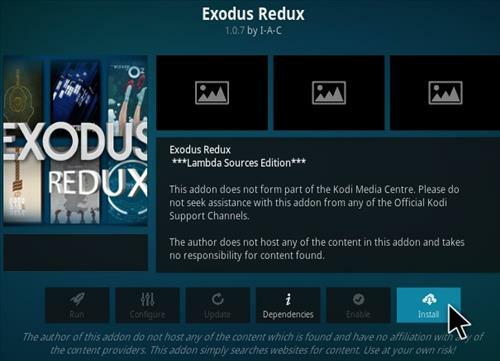 The Kodi Exodus Addon has been recently updated and a good one to use, but there are many more available. Kodi Leia needs a box checked called Unknown Sources to install add-ons. Keep in mind there are many add-ons and it is best to have a few if one stops working. 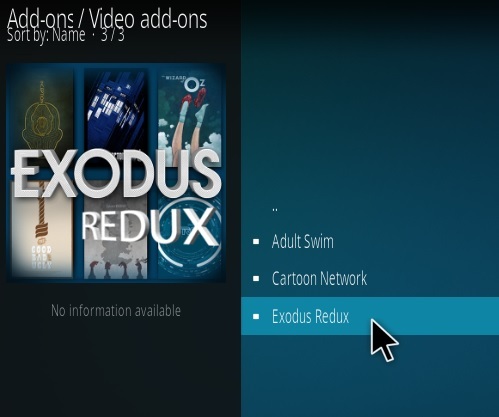 Finding movie or TV show within Exodus is easy to do what confuses most is how the servers work. Once a video is selected to play a server list will come up with available streams. Exodus will take 60 seconds to pull in all the best server links. Servers can become full and kick a connection or start to buffer, if this happens simply move on to another server. Sometimes 4-5 servers will need to be tried before a good one is found. The servers are simple enough to understand, basically if one becomes full and doesn’t allow any more connections, then a server that is not full needs to be found. Sometimes a server will come up that ask to PAIR with it. Simply hit the cancel button on any Server asking to Pair and move on to the next on the list. Exodus isn’t installing. Stuck on srep 19. Please help. 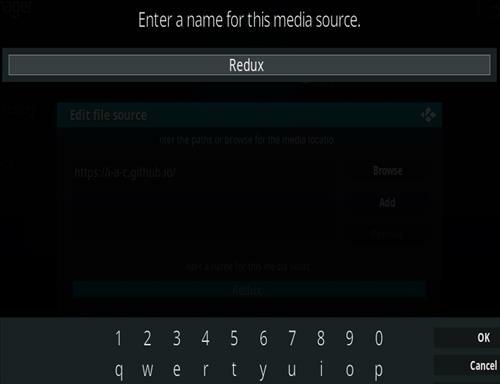 New to mobile phones – installed the base kodi ok but have difficulty in navigating particularly whn heeding to do those operations which are kode by a back up button on a remote. WHERE DO i FIND THE BACKUP OPERATION. Could anyone help me with step 12? I followed all the steps, rechecked it but I can’t see any .zip file there. So what should I do next? I am having the same issue. I click the correct file on step 11 but nothing is there to unzip. I have uninstalled kodi and repeated the steps but still nothing. I’ve even waited to see if it was just slow accessing it but after 15 minutes, still nothing. I have double checked everything. This is frustrating! Did you figure it out because it’s doing it to me too. I need some assistance please , I have an LG smart tv to which I want to screen share kodi from my android phone , I can watch kodi on my phone but cannot share to tv ….hovever I can share my you tube videos on screen share to my lg smart tv. I had tried chromecast but it does not pick up my tv . Both kodi and exodus add on installed perfectly only issue is static in tje audio as soon as I start up kodi and it continues on in tje streaming any suggestions on how to get rid of it? I try to do this, but with step 11 (click xvbmc) nothing happened. This was so helpful thanks I got it!!!!!!!!!!!! How do I get Live TV and sports? 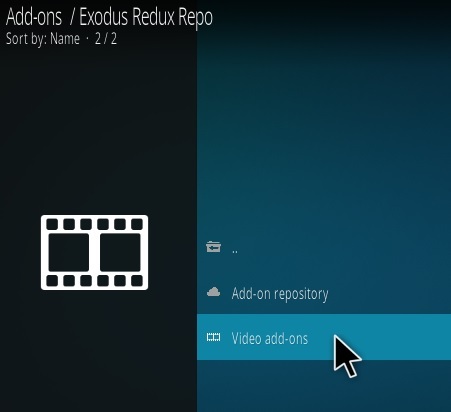 I have tried restarting Kodi twice and every time I click Ares Project from step 15 and it says it can not connet to the repository. Any help? I used to use kodi on a galaxy j7,but when I installed localcast for the chromecast, my factory video player doesn’t work anymore. The only option that’s works is to use it thru chromecast. I uninstalled localcast, and videos still won’t play thru my device! What the hell just happened!? How do I get add ons to play thru my device again? Yeah same, the folder xvbmc wont open and it always redirects back to the original menu. Okay so I got it to download, but for example the movie Snowman is literally bringing up a Santa Claus movie. Does that mean that none of the links have the actual movie yet? I’ve had a digixstream streaming box that was preloaded with all the great Kodi apps. I can’t live without that box. I recently upgraded my cell phone to a Samsung Note 8. Thanks for this fantastic step-by-step installation tutorial. It couldn’t have been any easier! I never would’ve figured this out myself. Now I can watch my favorite shows and catch up on my teams in bed or on the go. The world is a better place now. Thanks again! I trying to install colossus from the respository and stated that it cannot connect to repository..
I’m having the same problem. Any help? Your tutorials are great! Could you do one on using ChromeCast with Kodi? Just mirror it to the chromcast itll save you tons of time.. Thanks a lot. Installed Covenant on firestick and tablet via your instructions. Both work brilliantly,better than Exodus now. Best For Ah NetBox, I Think!!! Never Had An Easier Way For Android Solfware Till, Now. thank You! Thanks ,it works flawlessly on my S8 plus. 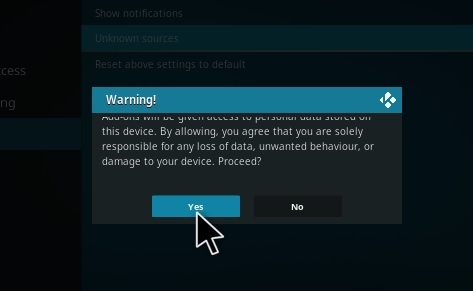 For those complaining… Make sure your phone setting no just Kodi unknown apps are also checked or allowed. Other than it was easier than I thought. Woot!woot! I’ve had kodi on my firestick and finally got it on my Samsung galaxy s7. Love it. I also got it on my tablet an ellipsis 8 (I had to update it to lollipop but it was simple after that.) No issues installing or streaming. Thank you guys for putting these steps out there. Amazeballs! How did you get it on your fire stick?? Great explanation, this was really helpful! Thanks! Make sure you are in expert mode… That was my issue also. You make it seem really easy together with your presentation but I in finding this matter to be actually something which I feel I would never understand. Hey guys, I updated to Kodi Krypton the other day but it hasn’t been acting right since. You about have to do a performance of the Fonz from Happy days to get it to work. Kodi keeps reverting back to the home screen after booting up. Also, my box is full and I have cleared stuff out and it keeps showing its full. I know I can’t clear data for Kodi because it will delete content. Please shed some light on this issue and what I can do. Thanks! I tried downloading it on 2 different tablets. A ZTE tab and a acer tab. Both tablets crashed after a few minutes. I uninstalled the app. I have an Oppo F9. 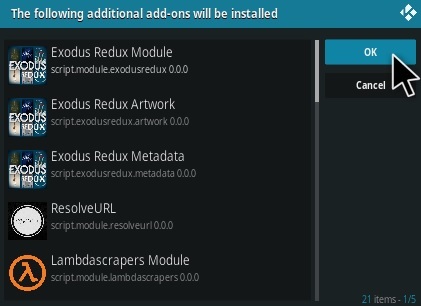 Whenever I try to install the Exodus Add-on it comes up with a little tab saying “The dependency on script.module.metahandler version”. 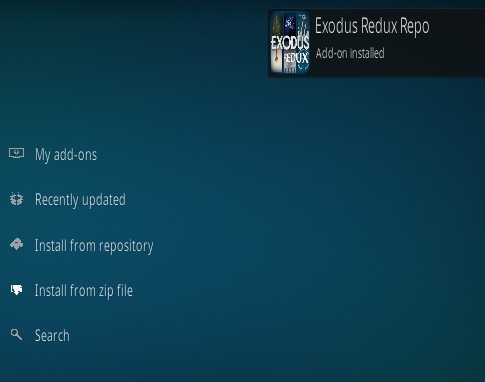 How do I fix this to install the Exodus Add-on? Everything seems to work until the final install step. I go to video add-ons, exodus, install. But then a notification pops up saying “Exodus: The dependency on script.module.metahandler version” and then nothing. The same for Pheonix. What am I missing? Press on the program icon for few seconds and a menu will popup to allow you to save to favorites. I keep getting failed to install from zip. What could be happening? Thank you. I kept running into roadblocks with the addon installer not being able to be installed. Your site was one of the few that recommended for the android phones to set the system settings to ‘Expert’. I believe that made everything work. tried to install on samsung galaxy s6 edge and get to step 12 and get error installing. I’m trying to download spectrum on kodi for an lg phone. I keep getting to the section where you have to download from repository under video addons but nothing is showing up? has anyone else had this problem? Can anyone help? 1. THROW AWAY YOUR 2002 FLIP PHONE!!! 2. BUY A SMART PHONE FROM THIS DECADE!!! The word SMART in smart phone is there for a reason!!! I hope this helps!! Thank you so much. So easy to follow your instructions and works like a dream! for example if you look at step 7. You can see he is clicking in add ons. Mine is completly black. so is the other options. so clicking on something is complete guess work. how do I get the text on? so I can actually see what I need? trying to install kodi on Samsung 10.1 but it keeps saying not compatible. How do I update software to 4.2 so that I can install kodi? I tried doing it from settings on it says its up to date but it is 4.1.2. Anyone please help. Mine says survey not available. When I try to install it. Why? will tis work for motorola g2 ? I’m trying to watch UFC but it says YouTube access not configured. How can I Fix that? I installed on my elipsis 8 tablet. Followed everything and says cannot connect to server. I’m using my wifi. Shut off wifi and still said can’t connect. I installed it on my phone and it worked just fine. Please help. I installed on my elipsis 8 and followed everything. It says can’t connect to server. I’m on !y wifi and my 4g is good. I was able it install on my phone, but not tablet. Please help. Thanks so much for your great instructions! My buddy told me about KODI briefly, but wasn’t able to offer any installation instructions (I think his kid installed it for him, lol). After a quick internet search I found your instructions. I followed them, and am currently watching one of my favorite series! thanks again! I have followed all the steps and everything looks fine. When I go to select an add on , for example 1 channel it will not install as all the add ons from superrepo are not enabled.how do i enable these add ons to install them. I’m using a Samsung s6. does it work on a samsung j5 and will it show premier pass and other sport channels ? I have been using kodi for about a week on my MYGICA device. It was working with no problems, but lately it has been difficult opening up movies. It started with cache full, then next i wasn’t able to open certain icons like latest movies or if I wanted to choose a certain genre the Links wouldn’t open. I am at a lost and no idea what’s going on. PLEASE HELP! I am having the same problem with the weird robotic sound and haven’t found a solution yet. Did anybody find or get a solution for this problem yet? And if you did, can you give it to me, please? 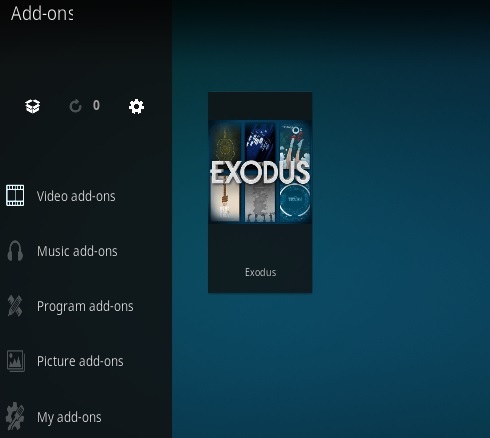 They changed the name to â€œMy Add-onsâ€ in the new Kodi releases. You can also click “Install From Repository”. Can you download movies on an android device? I can download movies using the Velocity add-on from my computer, no problems, but when I try to do it from my Android TV or on any of my Android devices, nothing happens. Is this possible to do? It would be nice to have them right on my tv rather than transferring to a USB. When I try to install arm it say app not installed (talking about kodi) and I can’t find anyway to fix this. Does anyone know anything? 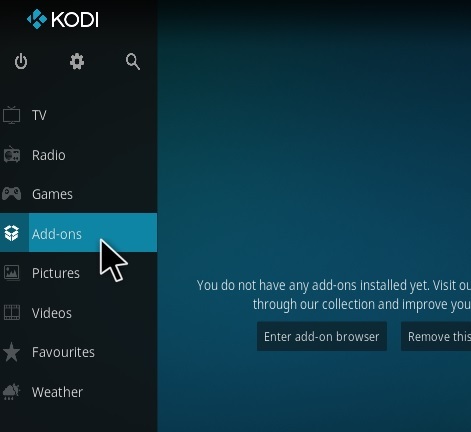 Be sure to remove any previous install and make sure the correct Kodi file for your hardware is downloaded. Also check the space available to install Kodi is enough. how do i fix this, and yes my data is on, 4g as well. Double check the URL is entered correctly. It is the same as entering a URL into a browser and going to the page manually. Downloading the .ZIP file manually can also be done. Why does my fire stick restart when I am watching a movie on kodi? It happens every 20-30 min. Any ideas on what’s going on and how to fix? 5 Mbps should be enough to stream movies. For SD movies and shows 3-5 Mbps is required, more for HD and blue ray. Most the streams are in SD so that shouldn’t be too much of a issue. Keep in mind as Kodi becomes more popular the servers/streams can become overloaded. If that happens just keep moving down the server list until a good one is found. I’ve side-loaded “The Beast” and other builds on several fire sticks and windows machines. I was pleasantly surprised after loading Chris B “The Beast” on my S-5 – it seems to run very smooth. The 1 issue I have is Kodi is not very friendly to use on a small screen when you are 6ft 2 with large fingers. Do you know of any builds suitable for a smaller screen such as a cell phone? Ive installed the Beast on android TV boxes and computers but haven’t done it yet on a phone. I have always used the default Kodi install when I have. May have to try it and see which build is the best for a phone. If you find one that works good for you let me know. Others are likely interested also. 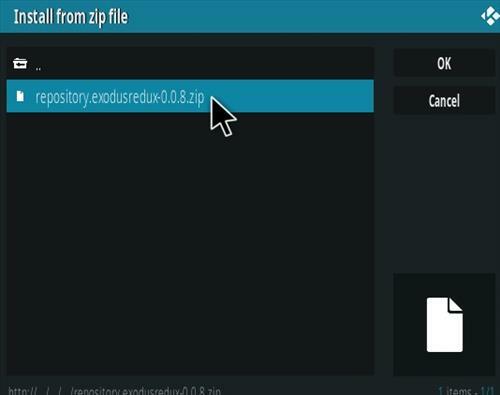 superrepo not showing when i pop install from zip file on android why? Help! It keeps saying when I go to install it says “Application not installed” and that is it. It just closes. 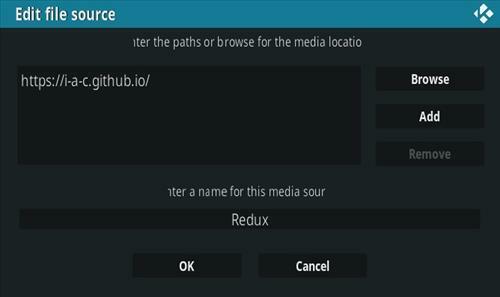 After installing kodi 15.2 on my HTC one m8 after following various videos I get no get add-ons option on the addons screen? 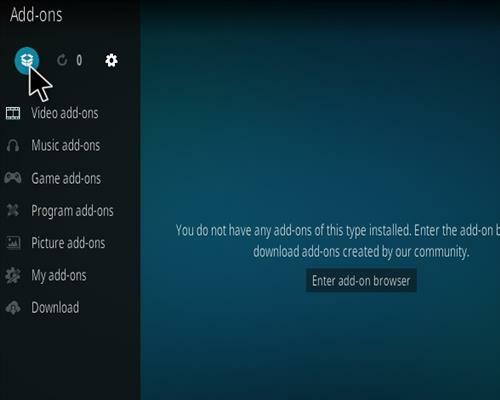 They changed the name to “My Add-ons” in the new Kodi releases, than click “ALL”. If one server doesn’t work than keep going down the list of servers until you find one that does. A server can only handle so many connections before it buffers or denies a connection, which often throws out some vague error. Most of the time trying 2-3 servers will get a video started. Is there a way to install Kodi or similar device on the tablet. Have Uverse 450 plan in house. I’ve been in I.T. for more than a decade and have an entire home entertainment LAN setup and configured so that any network-based device that can connect to my home network can access my Drobo 5N for archived movie and TV show playback. I can access my Drobo via my installed Network Browser app on my Samsung Galaxy S5 (which I’m on right now), but I cannot for the life of me get KODI for Android to access my Drobo no matter what network interface or path format I try. The phone can see the Drobo and access it, but KODI is apparently blind as a bat. Any suggestions? As long as it is on the same network you should be able to connect via NFS, or SMB. How do I install on Samsung Notes 10.1? Please inform. I’m a 52 year old disabled person on a very tight income. I just want to say thank you for this very easy guide. I’m not computer savvy at all but i was able to install kodi on my phone and tablet thanks to you and it works like a charm. looking forward to many happy hours watching TV and seeing movies i wouldn’t otherwise be able to afford and see. I appreciate this. Getting a bad or full server is part of using plugins with Kodi. If you get a bad one than simply move on down the list of servers until you get a good one. Currently Genesis and 1Channel are working best but this can always change. 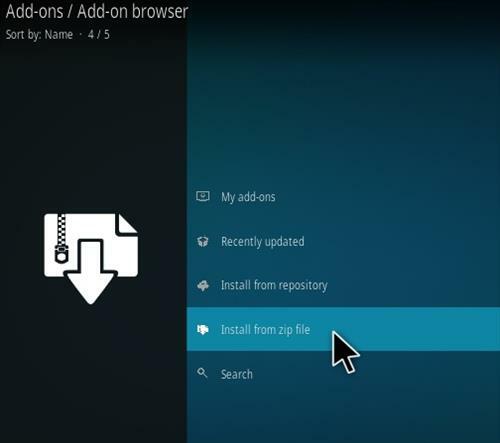 The add-ons usually update automatically but if they dont you can press down (dont let you finger up) on the add-on you want to update, choose add-on information and manually update it. How could I add an icon or shortcut to the homescreen to Kodi? To ad a App to the home screen hold the icon down by pressing on it, than move it to the one of the screens that popup on the bottom of the phone. All the while pressing it. I downloaded the Kodi app, and had a friend do all this for me. However I just had my samsung 6S phone wiped (thanks to verizon) but I cant seem to get the original download that was done back? Is there any way of retrieving what was once there? I dl kodi on my Samsung s3 and now my ohone is freezing? If uninstall and start over will all the first files come out ? 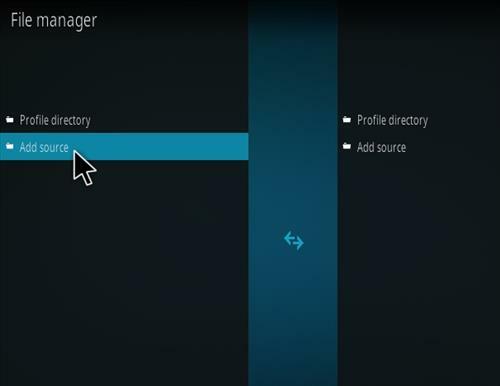 Yes, you can completely uninstall it by going to Settings–> Application Manager–>Select KODI, and clicking uninstall. Its the same version of Kodi that was downloaded. 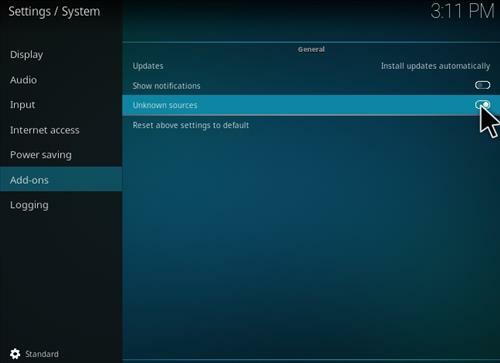 If you are unsure install from a older version the add-ons should update automatically. I had this problem as well. Restarting kodi seemed to work for me. Do you have a good internet connection, with no firewall blocking it? Also double check the URL. When I get to the setting I hit install from zip file, then click on superrepo, but no options pop up after that. Any idea what’s going on? To remove a app on a android go to Settings–>Application Manager. Than select the app and click uninstall. 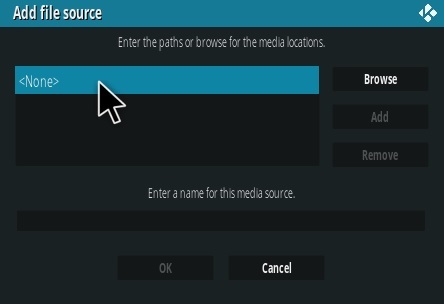 I have downloaded Kodi on my nexus tablet but want to send it to chromecast – can this be done? Yes it can be done, here is a YouTube video on it. There needs to be a Internet connection or else it wont be able to find the address. You likely have to enable hardware acceleration for video under settings. It will depend on the link if you can connect or not. Links can become broken or if too many connections are already made it can reject new ones as to not crash the sever and slow down the existing connections. I have a galaxy tab 4. It doesnt find anything in the fusion folder when installing from the zip file…. so i am stuck there… can you assist? Do you have a repository setup such as SuperRepo? I would check the URL setting of Fusion. I always use SuperRepo so I dont have the Fusion URL handy. Installed kodi and added football today but I get no stream available for all links. I am on android,samsung galaxy tab s. Installed from Google play. Should I just Uninstaller then reinstall?will I then have to add football today add on again? Pretty sure these same links work on my xbmc on my windows pc. I’m not familiar with that add-on. Keep in mind that Kodi addons are coded by third parties that depending on how they are coded may or may not work on some hardware. Most are universal and will work across platforms while some will only work with a x86 computer or only a ARM based phone/tablet. If you do run into this scenario it is best to look for another addon that does the same thing and works with the hardware you are using. Try to add superrepo but it says invalid. I just installed it on a friends computer yesterday and everything is working. The video may be easier to follow. Yes this can be done depending on the phone and TV being used. Popular options are using a HDMI cable or Miracast. Works for me by multi screening to tv. I am having some freezing tho which is annoying. SuperRepo pretty much the same as fusion? Its been awhile since Ive used Fusion but ya they are basically the same. 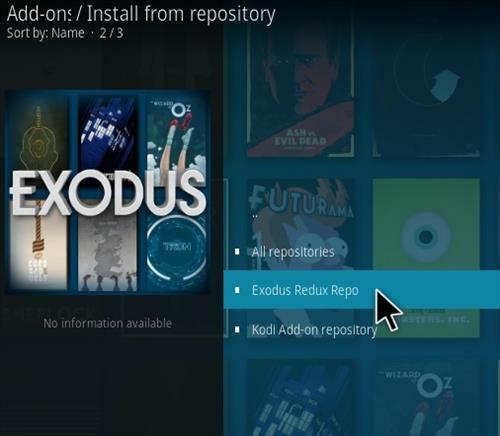 As long as the repository can load up the addons you want into Kodi is the main thing. Did you add SuperRepo or another repository? do this work on iPad as well? Got it all, but when I’m on Genesis and I click on everything (movies, tv shows) it opens, but when I choose genre, year or whatever it does not open anything, am I missing something? Very cool information now I can watch my favorite shows at work, security guard job.